Photos courtesy of The Ark. The ARK at JFK – the world’s first privately-owned animal reception terminal and quarantine- may be a global gateway for thousands of animals each year, but The ARK and their horse ambassador, Messina, are creating local opportunities for aspiring equestrians in Queens, New York. 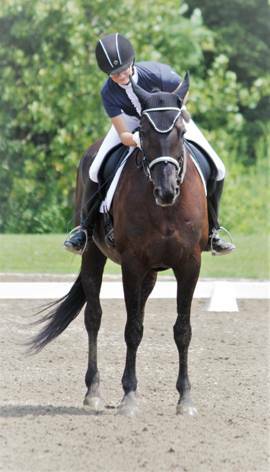 One aspiring equestrian is sponsored rider Catherine Kwasnik from Queens who has been accepted into the prestigious Dressage4Kids’ Winter Intensive Training Program. The Dressage4Kids’ Winter Intensive Training Program is for those who are dedicated to becoming the very best equestrian athlete and want to be part of an elite group of riders willing to work on everything possible to make themselves better. Each rider will endure a fitness routine of weight training, core fitness, aerobic work, balance and coordination exercises. Some of their day-to-day duties include tending to the horses needs (such as feeding, grooming and mucking), cleaning the stable, attending lectures and more. Catherine is a 15-year-old student at The Mary Louis Academy in Jamaica, NY, and has been training and competing with Messina for a little over a year now. The two met in the spring of 2017 when The ARK was looking for a new home for Messina. Messina was introduced to The ARK family in 2016 when owner, Susan J. Bruns, took a job managing the Export Barn. Tragedy struck when Susan suddenly passed away in late February of 2017 from an aortic aneurysm. The ARK knew they had to find a good home for Messina as well as an enrichment and exercise program. Come Spring 2017, The ARK found Messina a home at Blue Ribbon Farm, a dressage training facility in Calverton, New York. 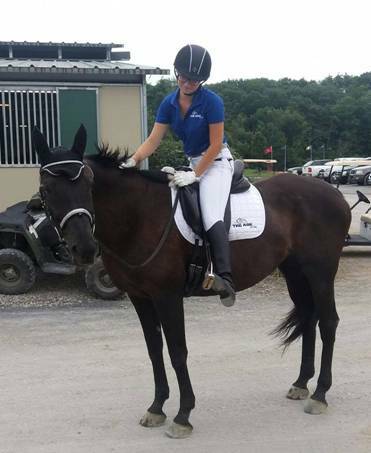 Young rider, Catherine Kwasnik, was chosen to train and compete with Messina through a sponsorship by The ARK. In January, the two will head off to Wellington, Florida to train and compete in one of the most prestigious and intense equestrian programs in the country.